Chris Horley moved to Los Alamos in 1983 and joined the club two years later. He stopped by at a climbing school session at the "Y" in 1985 and was hooked, driving down that afternoon to Albuquerque to buy some climbing shoes. 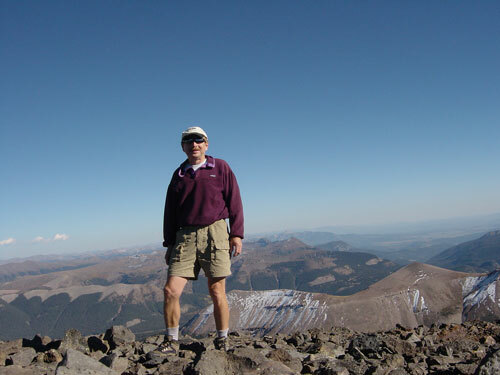 Living in the Bay Area prior to moving here, he had always enjoyed backpack trips to the Sierras and had climbed several of the California 14ers, including soloing the Whitney glacier on Shasta (in retrospect, a bad idea). With new friends in the mountaineers and new skills, he has done many trad and alpine routes. He has climbed all over the western US and has done a number of the Roper and Steck 50 classics. 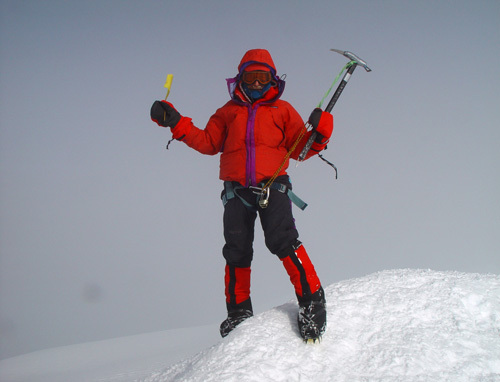 His biggest passion is alpine climbing and he has summited Denali, Aconcagua, and the 6thhighest 8000 meter peak, Cho Oyu. He has also done the Mexican volcanoes and climbed in Peru and Bolivia. He is a dozen peaks away from climbing the top 100 in Colorado and has climbed many of the classic couloir routes and has skied off many of the summits. 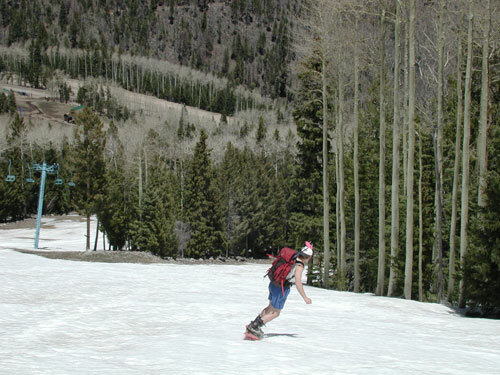 He enjoys the winter seasons skiing, snowboarding and tele skiing. He has been to all of the 10th Mountain Huts and looks forward to a trip or two a year. He was a senior ski patroller at Pajarito for 11 years and served as Patrol Director and taught Outdoor Winter Emergency Care and Winter Survival. Chris is also an avid mountain biker and has enjoyed many single track adventures. He has also led a few road bike tours and is looking forward to doing more of these. Whether it is rock climbing, mountain biking, skiing, ice climbing, kayaking or alpine peak bagging, the most enjoyment comes from doing it with good friends, and that will always remain a big part of his life. All trips are about the journey and sharing it. Cho Oyu (26,901), Denali west buttress (20,320), Aconcagua (22,841), North Ridge of the Grand, Illampu, Kilimanjaro (19340), Liberty Ridge, Mount Stewart north ridge, Clyde Minaret, SE face. Chris is a mechanical engineer and started his career designing and building nuclear energy plants for 10 years before moving to Los Alamos. Most of his 24 years at Los Alamos National Laboratory have been involved in designing and building of safeguards instruments to detect and monitor nuclear materials. He is presently involved in the design of space instruments.